Occupational Therapy New Zealand Whakaora Ngangahau Aotearoa - » Ngā mihi o te Kirihimete me te Tau Hou! Merry Christmas and a Happy New Year! Ngā mihi o te Kirihimete me te Tau Hou! Merry Christmas and a Happy New Year! 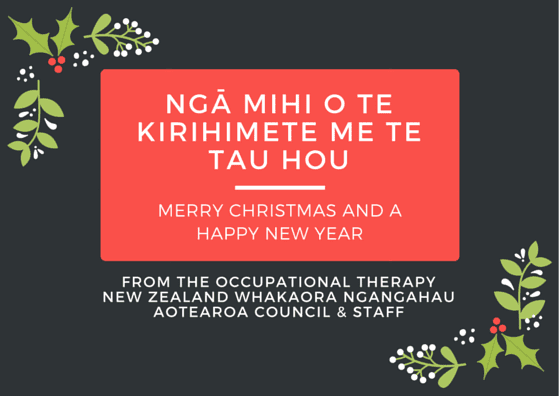 The OTNZ-WNA office will be closed from the 22nd December until the 8th January 2018.